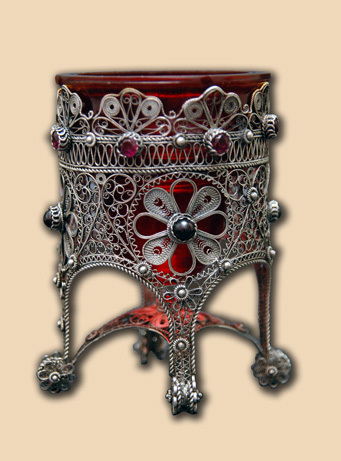 Table silver vigil lamp with floral filigree motives, standing on 4 supports and decorated with 4 garnets and 8 corundum stones. 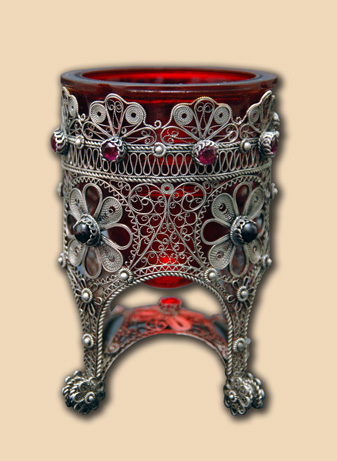 Material: silver 950, dark red garnet, red corundum. 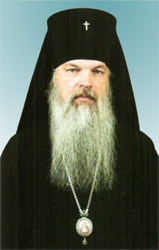 In possession of: His Eminence Aleksey, Archbishop of Orehovo-Zuevo, Novo-Spaski Monastery in Moscow.